Last year a selection of Tea India Chai teas came with an issue of Oh Comely magazine and i've been obsessed with them ever since. This obsession with tea isn't new, I think there is more tea in my kitchen than cutlery but as a lover of chai the beautiful flavours of the Tea India range are ones I keep coming back to. 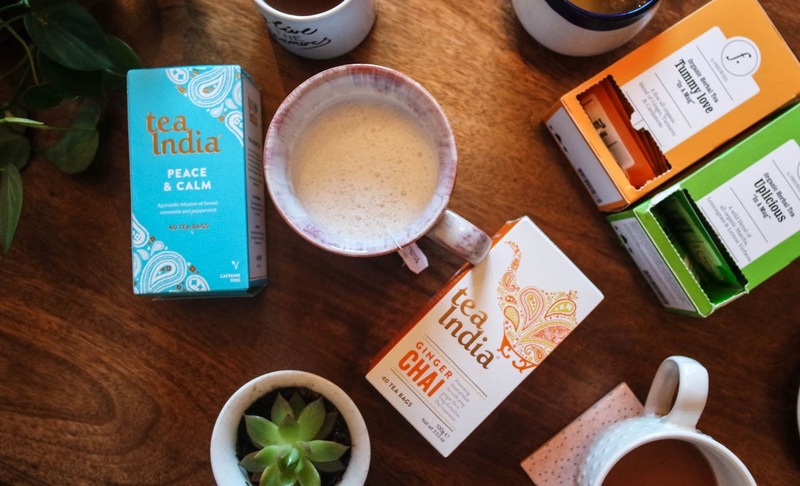 From Chai to Ayurveda and their latest Chai Latte range Tea India's strong knowledge, intention and thought behind each blend and taste means that they are slowly becoming one of my favourite tea brands. 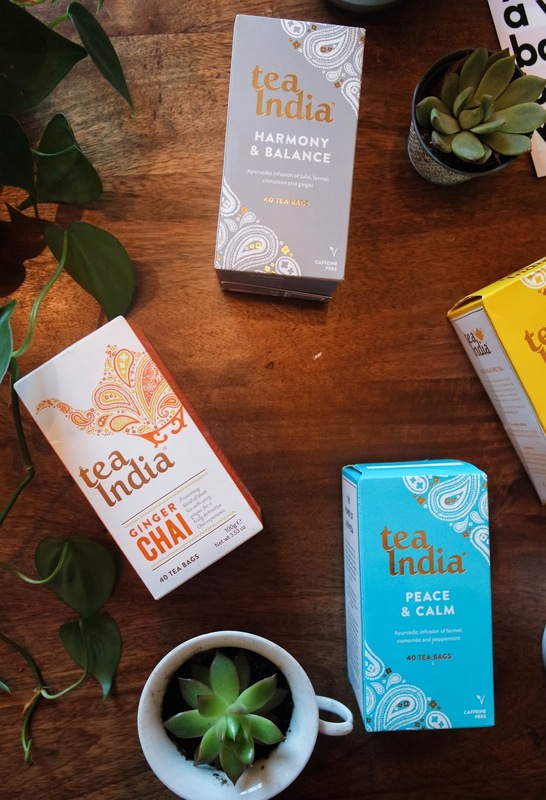 Their Ayurveda range is named after one of the oldest systems of medicine, guiding a holistic way of life with preventative healthcare as a lifestyle. This can help maintain a balance of mind, body and emotion through daily practices. In the teaching of Ayurveda these are personalised to our individual mind & body types known as prakruti. Prakruti centres around three bio-energetic forces called doshas that combine the five elements, ether, air, fire, water and earth. The doshas work together to maintain, influence and prevent behaviours, habits, personality and appearance. 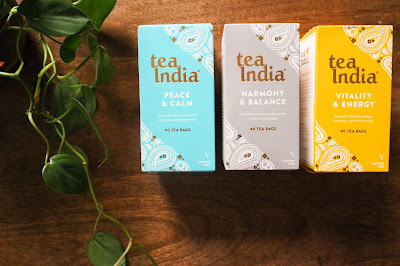 I am only summarising what i've read about Ayurveda and how the Tea India range relates to the practice but I love the idea and intention behind each blend. 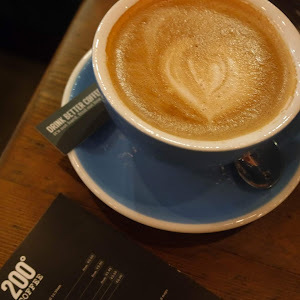 Becoming familiar with your dosha type can help you make choices for health, happiness and creativity whilst connecting to everything around us and create balance. 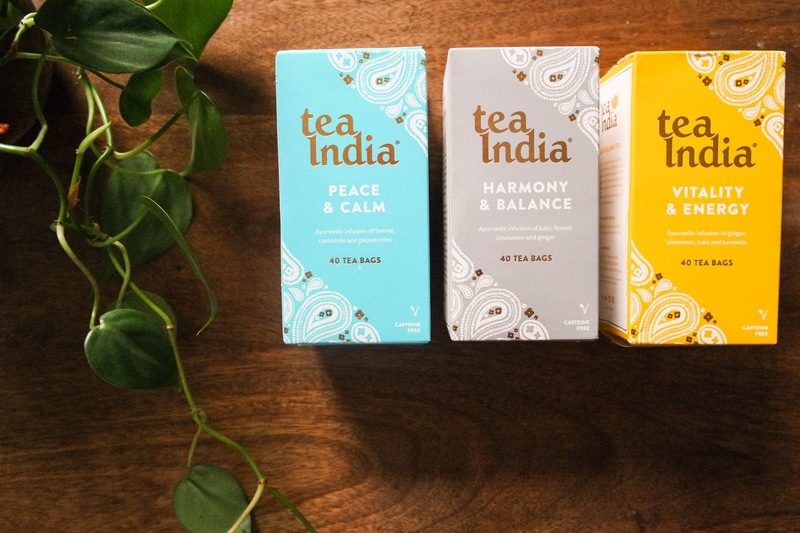 It is with this that Tea India created the Ayurveda range to connect with each dosha. 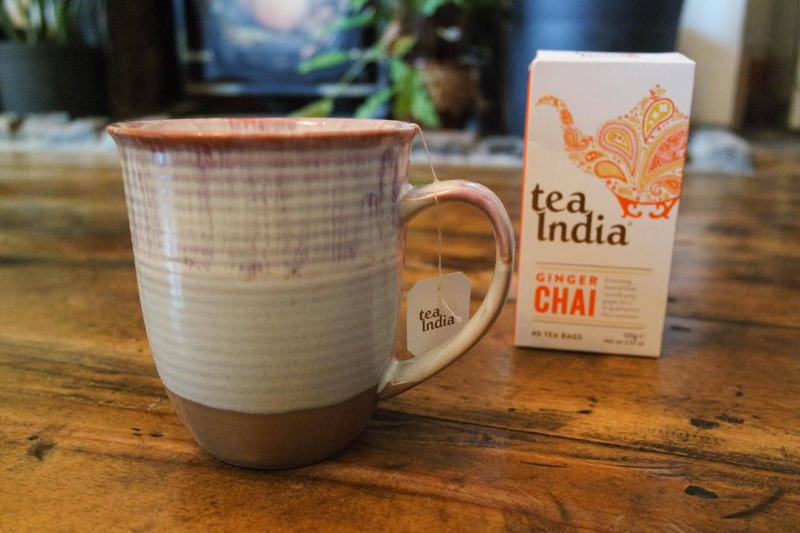 You can find out your dosha here through the Tea India website. Funnily enough before doing this test my favourite blend from the range was 'peace & calm' an infusion of fennel, camomile, rose petals and peppermint and of the three doshas of vata, pitta and kapha I came out as pitta with 'peace & calm' recommended! Although 'peace & calm' comes out as my favourite I really love 'harmony & balance' and 'vitality & energy' too. I often struggle to create the right levels of flavour in turmeric milk and the blend within 'vitality & energy' comes with the perfect level of warmth and spice. Whereas 'harmony & balance' is a life saver when bloated, sluggish or after a big meal. I throughly enjoyed reading about Ayurveda, doshas and how the teas work within them so I highly recommend checking them out. 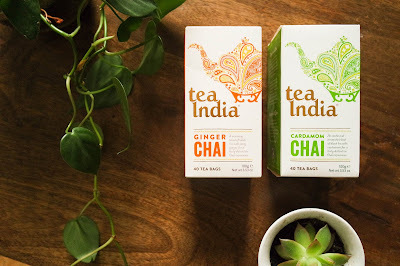 Before I tried the Ayurveda range I fell in love with Tea India's classic Chai range. They come in Ginger, Cardamon, Masala and Coconut and they are all amazing! I currently only have Ginger & Cardamon left from the last set I bought because they are all such a treat. Each tea is the perfect blend of black tea and spices with the Masala a more warming and comforting blend and Coconut for a creamier sweeter treat. As much as I adore tea lattes (especially from my faves at Birdhouse Tea Co) I do make attempt them at home more than a normal brew! Whilst my tea of choice infuses with boiling water (usually just enough to submerge the tea bag) I warm up oat milk and then whisk it with my little IKEA milk frother (which I have to change the batteries so often in I just probably just invest in proper one) and then pour in. Home made tea latte! Although you can experiment with different teas the Tea India chai range is my absolute favourite with great flavour and focus on the spice rather than mixed spice chai teas. It wouldn't be a blog post about tea without talking about my love for the bedtime beverage. A warm drink and getting cosy in bed with a book is bliss and although I love Ovaltine & Horlicks I like to mix it up! 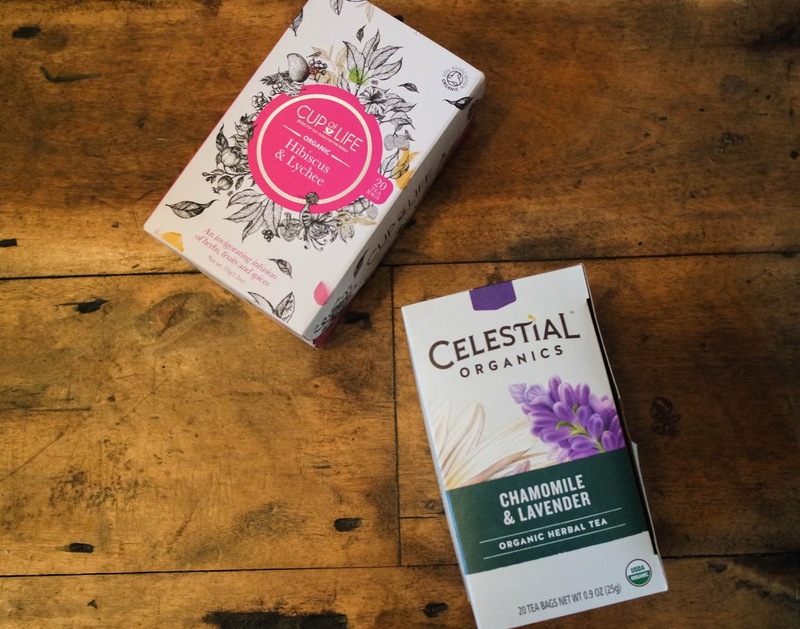 Anything chamomile, lavender or floral is right up my street so this blend from Celestial Organic or my go to favourite is the nighttime tea from Heath & Heather. 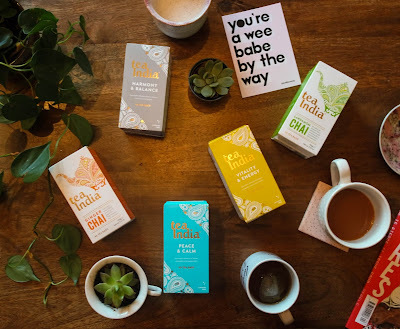 I love a bed time tea recommendation so let me know if you have any. 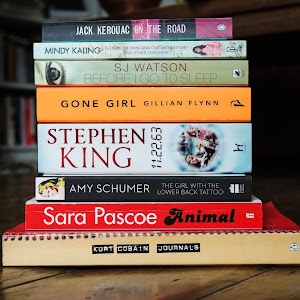 2018 was basically the year I didn't sleep so I am really happy that as i've come into 2019 I found a way to settle in my evenings. It may seem trivial but tea brings a moment of calm and just taking that five minutes to make it and the time to enjoy it can really change how you approach a day. Tea India are available in most good supermarkets, their website and can sometimes be spotted in TK Maxx for a bargain too! Dolly Alderton’s ‘Everything I Know About Love’ is on everyones reading list and it completely deserves it. The intimate memoir follows Alderton’s life through her rich and relatable writing style that reflects, reaffirms and questions as she looks back through the book. 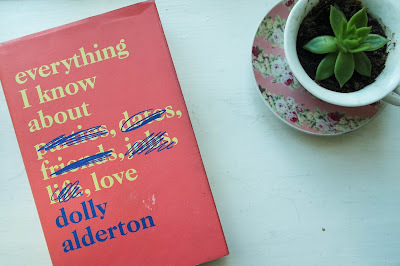 Through all of this I found myself flitting between fits of giggles or balling up with tears, re-reading and connecting with Dolly Alderton's words. 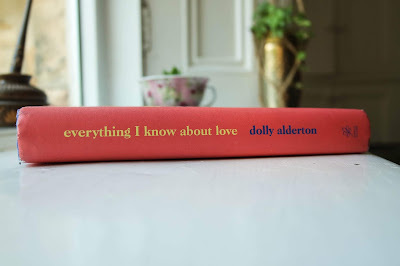 This connection reaffirming the popularity of ‘Everything I Know About Love’ as although it is a young age to write a memoir, Dolly’s writing has hit readers that clearly needed it. With an unusual layout the focus on her stories are interjected with party planning, recipes and lists as if Alderton is helping others navigate their lives and past by making them feel less alone with her stories. Although ‘Everything I Know About Love’ sometimes feels like a glamourised rom-co Alderton does not let us forget the low points. 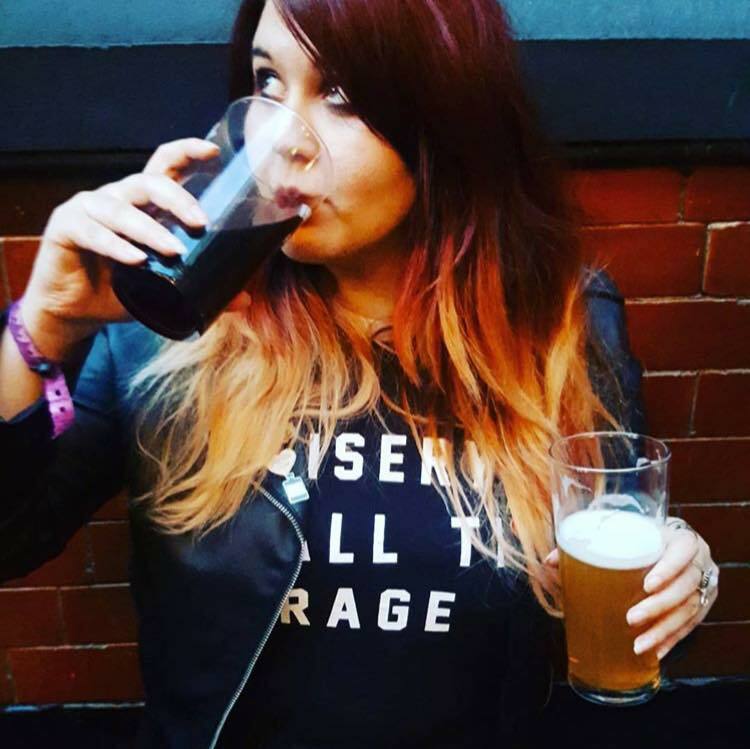 From all the amazing stories we hear of skint nights out, houseshares and parties we are also reminded of the lonely days, the debilitating hangovers and poor decisions. What’s interesting is how Dolly Alderton writes with such a nostalgia and sentiment for something that is not that long ago but with the speed the world is changing seems a lifetime ago. With each endearing part of the book Dolly Alderton continues to put herself out there, each raw moment insisting empathy, laughing along with her wild anecdotes to crying with her heartbreak. 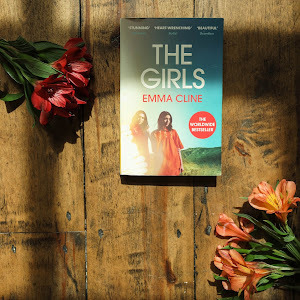 Within the anecdotes Alderton is also assessing her own pain whilst exploring her love for her friendships. ‘Everything I Know About Love’ is about experiences, her own lessons and friendships with the universal call that you are not alone. And even if you cannot relate to any of Alderton’s anecdotes, I am sure that at some point in all our lives we have felt uncomfortable in our skin or that everyone else in the world is moving faster than us. So as moving as it is funny, ‘Everything I Know About Love’ through it’s wit, wisdom and heartache is a beautiful reminder for all the moments in life, and a love letter to the people that fill them. 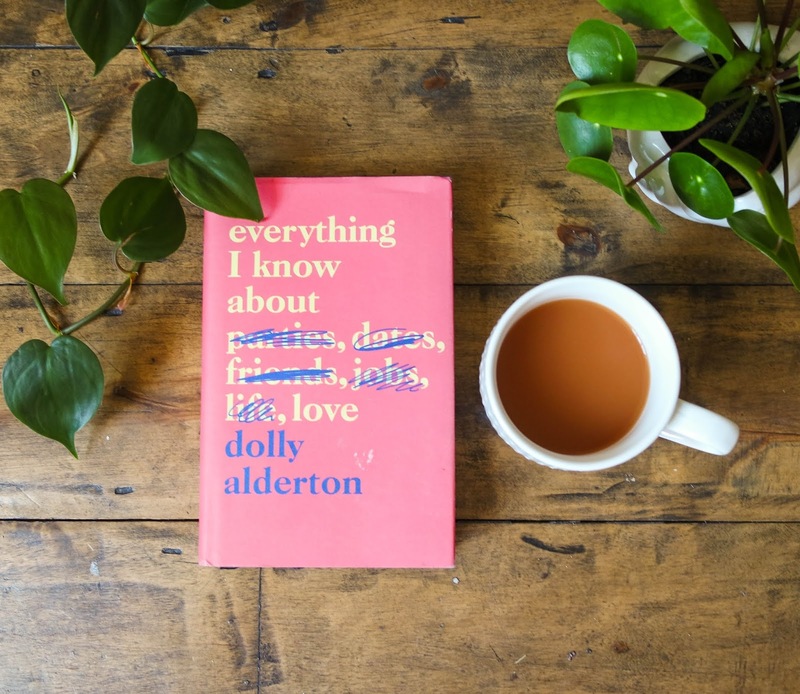 Dolly Alderton has created an incredible, relatable work that has swept readers up and although I have refrained from going into her stories I hope my enthusiasm makes you want to pick it up. Pick it up here and let me know what you think.